Pets of all types are wonderful companions and invariably become part of your family over time. Whether they be dogs, cats, horses, birds, fish, snakes, chickens, or whatever, there is a certain pet to suit everyone. Research has proven that people with pets are overall happier, less stressed, and live longer than those without. So, if like me, you are a pet lover and have animals as part of your household, it is always a sad time when one passes away. It doesn't matter if it is in tragic circumstances or due to old age, it is still an emotional time and you have to grieve just like when you lose a human friend or family member. I have lost count of the number of pets I've lost, in one way or another, growing up. But as an animal lover, it was always a traumatic experience, and I often grieved for months. As I get older I realise that life and death are just natural processes that we must all face, but that being said, it still isn't easy to come to terms with "death." The most common advice handed out by others on the death of a pet is, "Get another one to replace it. You'll soon get to love it just as much and get over the one that died." In the past, I have tended to do just that, and it does work to an extent, but this time having three other dogs isn't necessary. Since devoting more of my time to writing, I have found that I turn to the pen more often than not to express my grief, joy, and emotions of things that happen in my life. Before (in regard to death or an extremely trying situation) I would go into my shell and grieve silently while trying to put on a brave face, but that just extended the grieving process and made it more difficult. Now I find that by not wasting time and immediately writing about the situation, it enables me to vent my feelings and to 'get over' the grieving or stressing more quickly and get on with life. 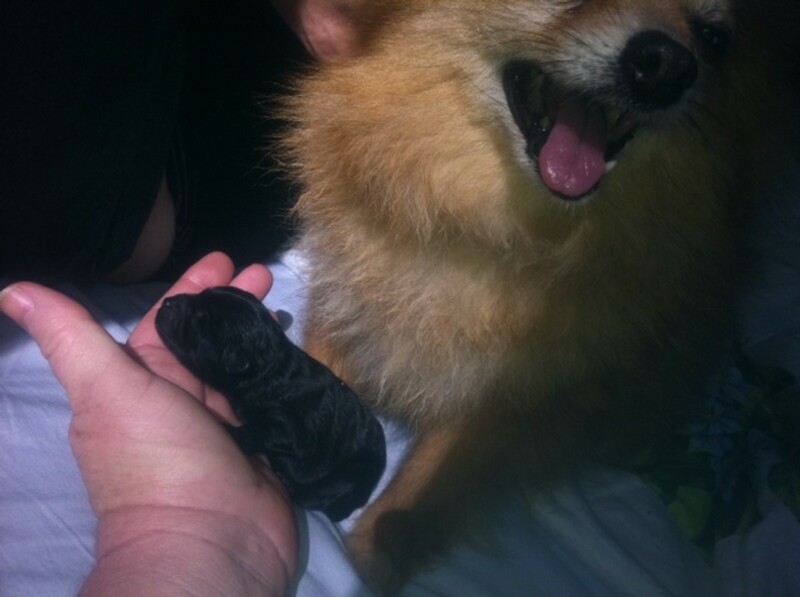 This morning (or possibly during the night) one of our dogs passed away. 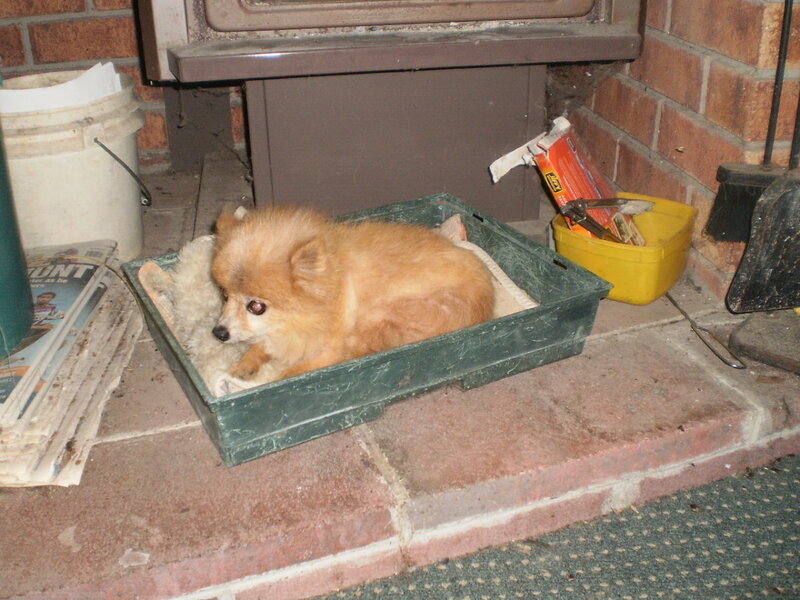 Amber was a golden coloured Pomeranian who came to stay with us (a stray) approximately 10 years ago. Amber's story can be found in my previous hub: "The Role of Animals in the Healing Process"
I woke up this morning to go through my usual routine of letting the dogs in (they sleep on a covered verandah), and the cats out (or vise versa sometimes), feeding them, the chickens and turkey etc. I turned the kettle on to make my wake up cup of coffee and then opened the door. The cats Basil, Humphrey, Phoebe and Fanny were all meowing for food as cats do, and the dogs Coco, Jackson and Ginger came running to greet me (oh, so did a turkey). All except Amber. Admittedly she has not been well for a couple of weeks, not eating or drinking much and very lethargic, though not in any apparent pain. I could tell her time was near as she was deaf,almost blind and missing most of her teeth. We have no idea how old she was when she came to us but she was already full grown and we have had her for 10 years. I went out to check Amber's bed and my fears were realised. She wasn't breathing and her body was cold and stiff. She'd passed quietly away during the night. My routine for the morning changed then as I carefully wrapped the small dog up in an old towel and carried her out to the garden for burial. We do live on 40 acres and unlike a town block we have plenty of areas available to suit such a purpose as unpleasant as it may be. We actually have a closed off area, that used to be a vegetable garden, which serves as a pet cemetery. (sounds like a Steven King book) Roosters and hens that have died from old age, or been killed by wild dogs, and a cat name 'Rambo' who had belonged to my grandsons and had an unfortunate encounter with a washing machine, rest there. Now Amber joined them. This is my way of dealing with my grief. She just lay down and passed away. Not sure her age, at least eleven. Ten years ago she came to stay. Treated her like their own kin. To our home she chose to stray. We gave her a happy home. In not much pain I hope and pray. Due to her colour I suppose. She was getting old and grey. But a happier dog you couldn't find. No more petting, no more play. Had trouble getting off the ground. To a better place they say. She couldn't eat and wouldn't drink. She had two pups along the way. Cuter pups you'd never choose. Sad day for me I have to say. I wrapped her up in careful folds. I'll grieve for her in my own way. If this is morbid I beg your pardon. Another one has left the fray. But the smallest one is gone. Poms are cute in their own way. R.I.P. with Rolly and Pearl. No, I've never had pets. No, all my pets are still alive. Shortly after dealing with the death of Amber today, I eventually got my cup of coffee made and sat down at my desk to check emails. The first one I saw was notification of a new gig on fiverr. "I would like a bedtime poem to be read to a dog, at least one full page please :-) I want it to be comforting, cute, with charm, something a parent or child might read to a pet dog or puppy. Also, please give quote on about 25 pages of short stories and poems for same topic with table of contents. And fun games to play. Thank you for reading Peggy. 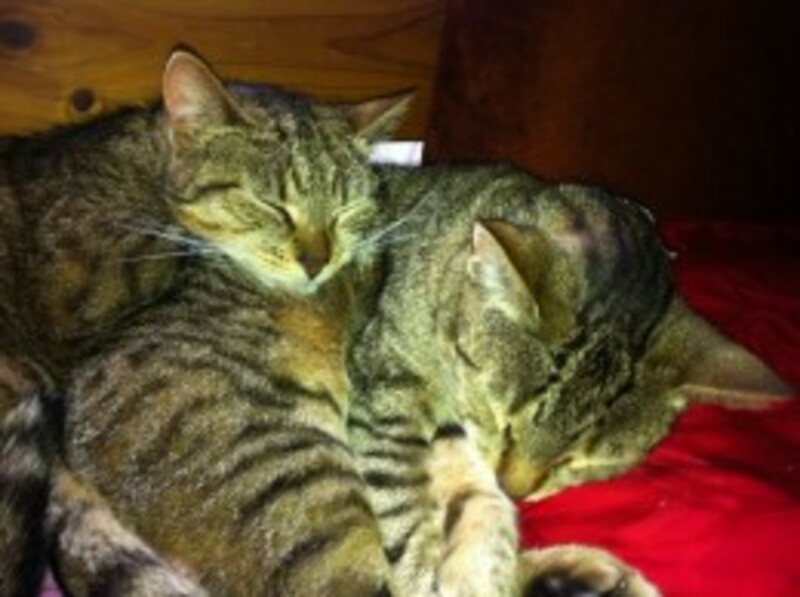 I am sure all pet owners can relate to the sadness of losing their loved companions. The unfortunate thing is that they have a much shorter lifespan so we can lose quite a few during our time here on Earth. I too hope we get to reunite one day in Heaven. 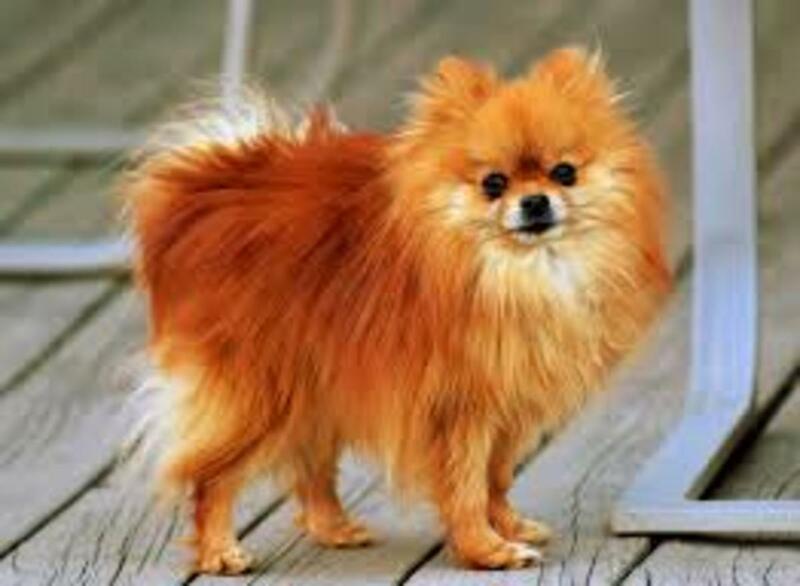 We had an amber colored Pom that looked much like your Amber. He was such a sweetie. My parents used to have a pet cemetery when they lived in the Wisconsin countryside when I was a child, so I can relate to your having one. It is a comfort. We have faced losing many beloved pets through the years, and it never gets easier. I hope to see all of them again someday in heaven. Thank you Audrey. Yes, our fur babies are very special especially after our children grow up and leave home. We now only have one toy poodle Ginger, 14 years old, blind and deaf, but she still seems happy enough. It never gets easier when they pass on but you are right they will be there wagging their tails excitedly to greet us at Heaven’s gate. 6 days ago from Idyllwild Ca. John...I am so very sorry about your recent and past losses. I still mourn for all of my fur children and always will. 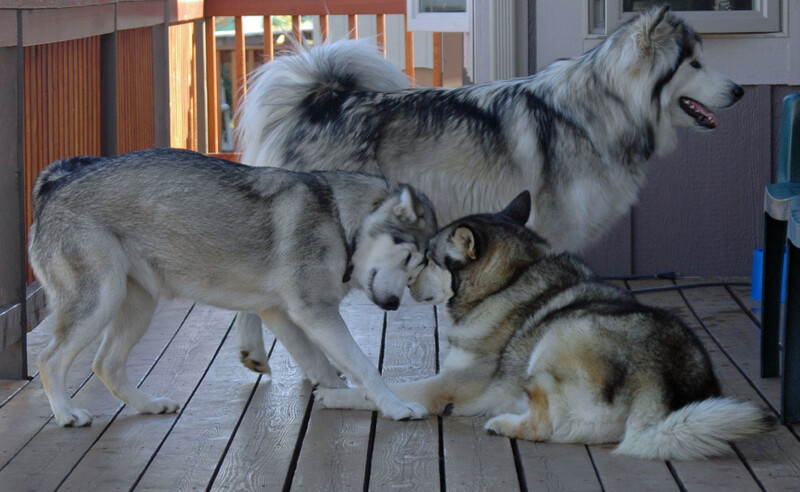 Unconditional love is hard to find in we humans, but our beautiful doggies give it freely. Your sweet babies were blessed to have you to care for them . Their love for you will continue on and they will patiently wait to greet you at heavens gate. Your poetry is filled with a beautiful description of why we love our animal children. Thank you for this tribute. Oka, I am so sorry to hear about Gizmo’s passing. 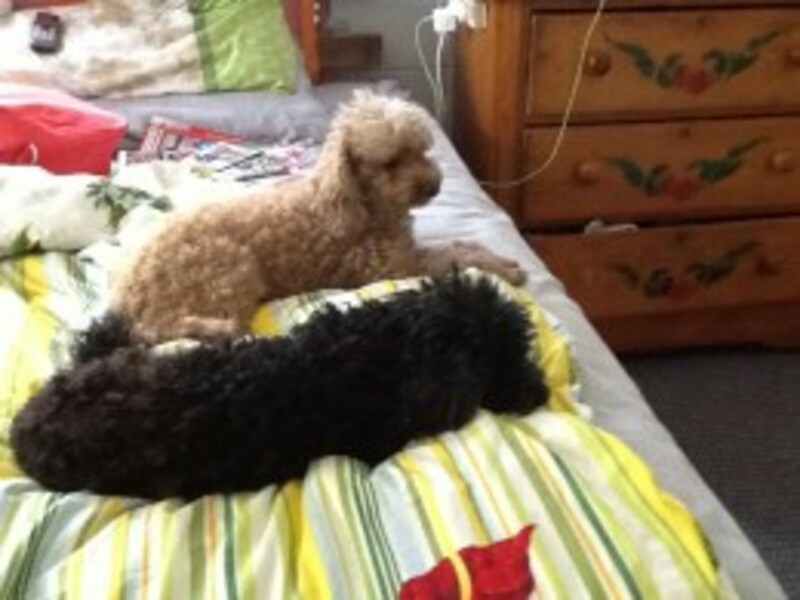 I only have one 14 yo toy poodle now Ginger. She also has cataracts and is deaf. She can find her way around the house to her food an water bowl etc but I have to carry her up and down and watch her while outside so she doesn’t wander and get lost. I had two other dogs die in the last 18 months. It is very sad. my 16 year old pomeranin Gizmo,died on april 3, 2019, he was supposed to be 17 years old on May. he has cataracts, had him use disposable diapers for dogs, but he was still functioning wellexcept that i carry him up and down the stairs so he will not miss a step and fall. he helped me with my grief in my life, happy to have me back from work everyday. i am still crying now and wake up from my sleep. the other 2 dogs are depressed too. Yes, Paula, it is so sad. I have been through it too many times but you need to treasure all the love and good times the pets bring to your life. Like you I keep adopting new ones, but always miss the old ones as well. Oh Jodah....sooo sad. I have lost several of my feline & canine kids through the years, I don't cope very well at all. I'm sad, sick and miss them so for a very long time. Each time, like so many, I say say"No more pets!" it's much too hard when we lose them. There is nothing sadder than having a pet die, GalaxyRat. Our three dogs are now 12 years old so they sadly won't be around much longer and one is now deaf and blind so that is difficult to deal with. I cried halfway through the poem. I had a pet die (his name was Mr. G), and I'm still going through grief. Thank you Kristen. It is like losing one of the family. We are away from home at the moment but were shocked to receive a phone call from our pet/house sitters that Coco was ill and had gone in the back legs. I was prepared for the worst and went to collect her he next morning to find she was walking again and improving..she is almost 12 years old now so we have to be prepared for this unfortunate event. So sorry to hear about your cat. Marshall too. Jodah, I'm so sorry for your loss of Amber. I feel your pain. Amber's happy over the rainbow bridge. Three weeks ago, I had to put my cat Marshall to sleep. I did love your two poems. Well done! Hi again, Audrey. Glad that you found this hub at this particular time when the information was helpful in dealing with your memories of Clancey. Amber and Rolly often invade my thoughts. Thank you. My thoughts have been filled with memories of my beloved 'Clancey' for the past few days. Though I always think of him for some reason this little guy keeps appearing in my mind. Then I found this hub. You express so well the devastation one goes through with the loss of a pet. So very sorry about Amber. And the photo of Rolly is magnificent. So little information is available about the tragic sadness that goes with such a thing. Thank you for reading and sharing your own experiences llonagarden. Fortunately most of my pets of recent years have succumbed to old age rather than by careless drivers. I liked this sensitive essay on dealing with the grief of losing a pet. Like you I bury my lost pets on the land, over the years, my dogs have aged and then found rest under trees planted over their graves. Most of our pets have been lost to fast drivers on our country roads. We are on the same wavelength here Dana. Pets are family and it is almost as traumatic losing a pet as it is a human family member. I hope your present dog keeps on being your best friend for many years to come. Thank you for reading and commenting on this hub. Jodah I have lost so many pets I cannot count. There was a time when I thought I would never get anymore animals because I couldn't take the pain, it is like losing a beloved member of your family. Right now I have a dog and he is the love of my life. He does take a lot of the loneliness away. He is my best friend. Thank you peachpurple, I like to think so. Thanks for your caring words Heidi. Yes I have great memories. Other pet owners know exactly what this is like. I'm at peace now, thanks. So sorry to hear about Amber! Been there too many times with our goldens. Unlike Amber, we've always had to put our sweet pups down. Hardest thing I've ever done, bar none. I hope your wonderful memories will give you comfort. And, yes, I do believe in coincidences. Sending you peace! Hi Mary, thanks for the condolences. I can't imagine life without pets but part of that is having to deal with losing them. I appreciate your kind words, and vote up. Thanks Mary, you are right that it never gets easier. I think we gave Amber a good life and she gave back. Thanks for the vote up and share too. So many of us relate to your loss. I'm so sorry. I have lost many dogs and loved each one of them and grieved their loss. Each one took a piece of my heart with them. We never forget our little furry friends. You've written a beautiful tribute here. God bless. Oh, dear Jodah. I grieve with you! I have lost so many pets in my lifetime, and it never gets easier. You just have to know that you provided much love as possible, and think of all the good times you had with your beloved pet. Hi Deb, yes it is hard but the years of joy they give outway the loss. You are right sometimes I don't know who owns who. Thanks for your kind comment. So many of us have been in the same boat with pets. It is so hard to lose them, but they bring so much joy with a good long life. I don't know what is better, a pet, who actually owns you, or a person. It's a tough call. I can truly sympathize. Thanks so much for sharing this. I remember you writing about Amber some time ago. I am so sorry for the loss of your beautiful pup but your poem was an awesome tribute, capturing the sadness of the monent but the happiness of her life all at once. I too think there is somerhing to this synchronicity thing. Great hub! Thank you Michael-Milek, for your kind and wise comment. Life goes on despite loss and you have to say positive. Indeed, the best may be yet to come. Your loss fills me with sympathy and compassion. Loss of your pet refreshes memory of my own experience... Yours though to my understanding had quick turnaround as indicated in your second poem, which is suggesting short lived past and focusing on now and beyond. "Synchronicity"- rich in meaning and powerful in decision (word never heard before ) - might mean in this case, there is " better yet to come"- even another Amber if a desire of your heart. Awe, that is so beautiful - every word! And pee on the floor. From the day you were born. You chase it and bound. And have fun all the day. And it’s time for your sleep. Awe, John. I'm so sorry for your loss. Amber looks so cute. I have lost animals and the trauma I felt was exactly the same as a human relative. The pain is unbelievable! I remember having to put my Lucy (Jack Russell) to sleep. She was 17 years old and I felt that I had grown up with her in a way. I bought her in my 20's and she died when I was in my 40's. I remember coming back from the vet and feeling so sad because life was going on without my Lucy. I tried to find the rest of yr poem online. This sounds like our family lawrence. We can't even kill a chicken. We bought two turkey chicks to fatten up for Xmas Dinner....that plan has changed, they are too friendly and already pet. Will be ham again...or turkey from the store. I've lost a few pets as well. It's never easy to see them go. Thanks for the beautiful writing, John. Thanks Will, your comments are spot on... dogs and other pets do not live long enough (unless you have a parrot or a tortoise). So glad this hub had a special meaning for you. I've had all sorts of pets, but dogs are somehow man's very special friend, and God's gift, so when their shorts lives are over, we grieve. The only drawback to a dog (and most other pets, actually) is that they don't live long enough. This is a special Hub to me, John. Thanks for sharing that Flourish and for your kind thoughts.. It is hard enough when you have a pet pass away every 3 or 4 years, but with your rescue cats and losing them regularly it would be hard to cope with. 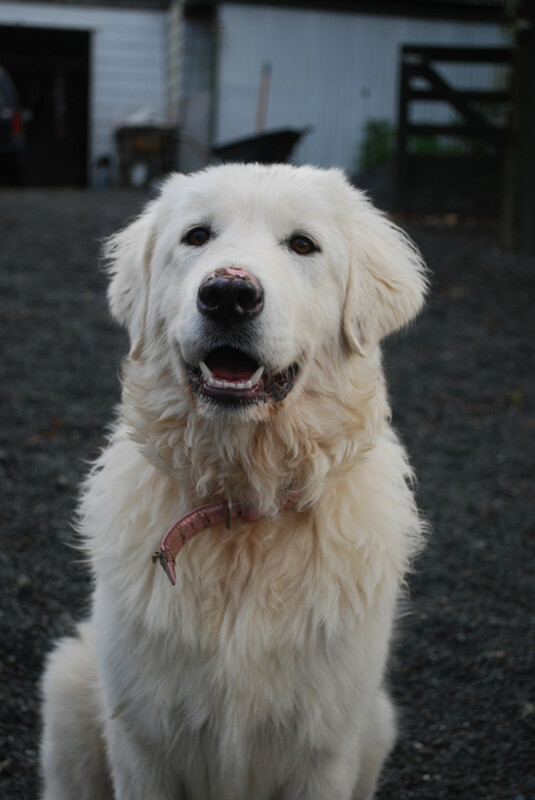 Most of our animals have been rescued, strays or from someone needing to find a new home for them. We have never paid for any pets. Yes, if someone else buys your property at some stage it could be interesting to see their reaction if they dig it up. I'm so sorry about the loss of sweet Amber. Your poem is sweet and tender, and I can unfortunately relate to the grief of a pet parent. As a lover of cats, I have a dwindling brood of rescued cats and walk-ups (I prefer "volunteers"). Last year was a very sad year, as I lost several of them to age-related medical conditions. Even the old feral cats at my colony that I've been feeding for 12 years are finally passing away from age-related medical conditions. Indeed it is sobering. I only have 1/4 acre or so, and burying them in my backyard pet cemetary gets a little tricky after awhile. I can only imagine years from now when a new owner of my house is digging in my back yard. It'll get a little weird for them. Thank you for reading and commenting craftybegonia.....yes all other pet owners can relate. It is the same as losing a family member. I am so sorry about the loss of your dog. When we lost our beloved Buddy we went through a grief period just the same as if we had lost a human relative, and a friend of mine had the same experience with her Cyrus (it was a cat, in her case, a dog in ours.) So I understand perfectly, it is a very sad and traumatic experience. May, I appreciate your kind sentiments. It's a tough time and it never gets easier but I've been through this so many times over the years I think I can deal with it better now/at least put on a brave face. The worst part I find is the actual burial...that is when my eyes get teary...it's so final then. I can't imagine how difficult it must have been to dig a grave to bury a horse. Thanks again. Hi Theresa, I am touched by all the condolensces offered by my friends here on Hub Pages. There are so many pet lovers among us. You are right that God sure knew what he was doing creating some animals that were suited to being our pets and companions. Thanks for telling me about your own pets, sorry to hear about Cookie. I think I may have read a hub you wrote about that. Thanks for the vote up, share, tweet etc. Hi John, a sad day indeed for you and your family. Sending condolences to you all. Our pets are so much part of the family and their love is totally unconditional. I feel for you in the loss of Amber, what a sweet dog. I still miss the dogs we've had over the years all with such individual traits. all well remembered with love. Oh, I am so sorry for your loss, John. Our pets do become a big part of our family with their unconditional love. It is a painful thing to lose one. I have lost many growing up but it is never easy. I have written about it too. We lost our beloved Jack Russell Terrier, Cookie, to a terrible accident not long ago. I still miss my three-legged dog growing up, who lived such a long life. He came to us when he was grown, but he literally grew up with us. There's no telling how old he was when he died. Maybe he was so memorable and held an extra special place in my heart because he only had the three legs, but that did not slow him down any. Amber was a beauty. We have a special place in our backyard where we have our cat buried and Cookie. Kitty, we had for 17 years. 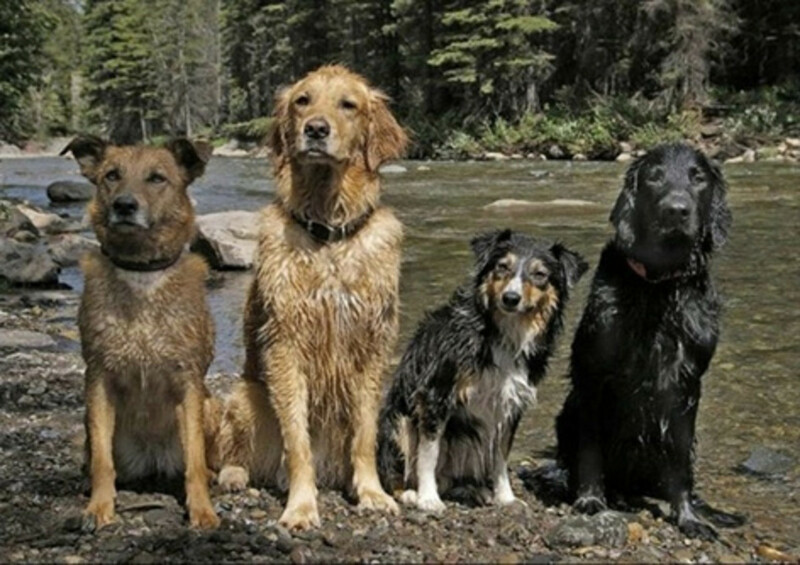 God sure knew what He was doing when he created our beloved pets. Thanks for reading this hub Stargrrl, sorry to hear about your cat. I hope this helped a little. I really enjoyed your poems. I lost my cat a few months ago and I miss her very much. Thanks for writing this hub. Hello Kim my dear friend. Thank you for sharing my grief. You certainly haven't overstepped any boundaries and I so appreciate you kind comment and little rhyme. Animal lovers are my favourite people. I don't know how anyone can be cruel to animals they are better than many people. blessings back to you in NC from QLD. How I grieve along with you. There are no magic words one can say. Your loving Amber has passed on to her next day. And (at least I believe) will be waiting when it your time to pass her way. Please pardon me if I overreached some boundary with my comment, but I said what was on my heart. As another animal lover to another, perhaps you will understand and even find some comfort in knowing how you are not alone. PS--I, too (as well as some of my friends) have our own special areas/cemeteries where we lay our pets/our friends to rest. Oh I know John; I have 5 hens that are named and pets and one that a cat killed when they were so tiny and I had to bury is still not forgotten. Guess it is just the price of love, no matter what it is! Thanks for your thoughtful and encouraging words PsychGeek. That's it exactly when a pet spends such a large part of your life with you to lose them is heartbreaking. The writing really does help ease the pain and I am glad you enjoyed this hub...the email to write a poem to say goodnight to a dog was something else..there is a higher force out there. Thanks Jackie, it doesn't matter what the animal is losing them is not pleasant. I have buried so many over the years. I even get upset if a favourite hen or rooster dies, so a dog or cat is devastating. I'm handling this better than expected. We had one of our new young turkeys just disappear last week, probably taken by a goanna, carpet snake or fox. I had just got it so tame It would eat out of my hand and it would follow me around and let me pick it up. Went to the chicken coup one morning and all the other chickens and other Turkey were there...but one had mysteriously disappeared. Not a trace of a struggle or feathers and the gate was still closed. Now Amber..oh well. Blossom, yes they are family and it is hard. You just have to remember the fun and love they gave you all those years. The decision to have a friend put down is a difficult one that I have always struggled with. There have been a few instances where we though Amber was not much longer for this world but she came good each time and seemed to go through a new lease on life. Not knowing her exact age made things difficult. This time though she wasn't eating, though she didn't appear to be in pain. The other dogs seemed to sense what was happening too. I think they can smell,death when it is close. The choice is yours but generally if undue pain isn't evident I just try to make them comfortable and nurse them to the end. All the best with your old dog. Thank you Stella. Amber was cute, but the writing does help and I am handling it better than expected. Life does go on but memories linger. Hi Ruby, thanks for your caring sentiments. I had goldfish as a kid too and used to get upset when they died as well. 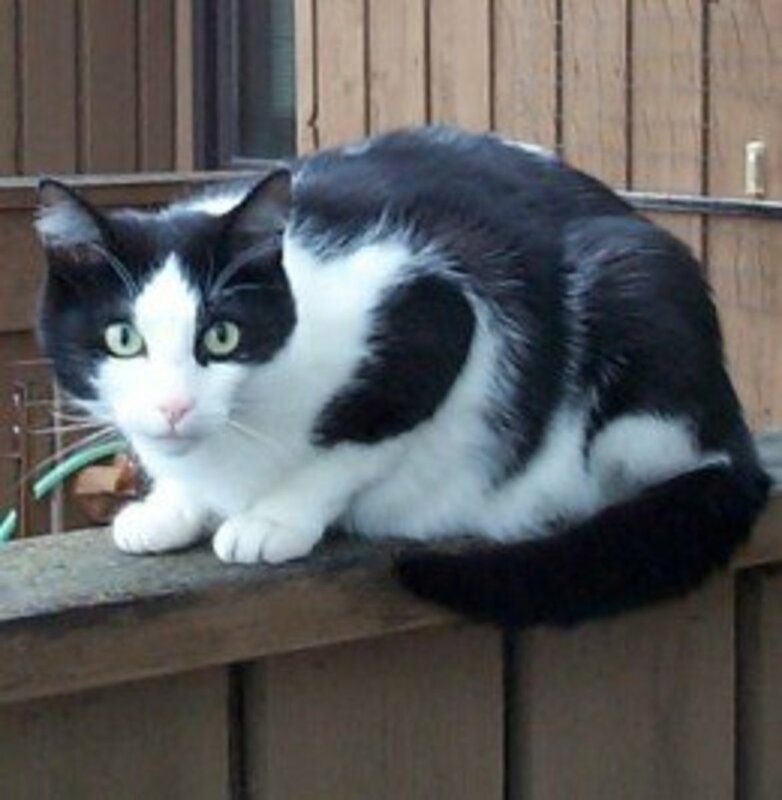 It is hard when something you do causes a pet to die that could easily have been prevented. When I was very small I had a pet budgie Bluey. It was so tame I use to walk around with him on my shoulder and he could say a few words. Would you believe one night Imtook him to bed with me and was holding him. Well I went to sleep and at some strange I must have been dreaming and clenched my fist. I woke up and I had crushed him. I was distraught. The fact I can still remember that shows you never get over it completely. This was heartbreaking, I am so sorry about little Amber. I remember losing my cat last year, it was just devastating after being with me in every stage of my life for the previous 10 years. I have to say though the image you created with your dogs and cats running to greet you in the morning, plus one turkey, did make me laugh out loud! Beautiful words to mark the passing of a dearly loved family member. I don't believe in coincidences either and your email was clearly an act of comfort from Amber to allow you to continue to express and process your feelings through your wonderful writing. I'm so sorry to hear of your loss. Our pets do become family members and participate in lots of family happenings and we miss them so much when they die. It's great that you have others. I've had my current dog for fourteen years and she's limping, is deaf and almost blind and I'm in a quandary, wondering if and when I should have her put down to save her from further misery. Aneegma, thanks for visiting this hub. I am fortunate that we had four dogs so despite Amber's sad parting we still have three to love and be loved by. I am sure Amber and Ruru are together there in doggy Heaven having a fun time. I was expecting Amber's death though, Ruru's was sudden so it was much harder for you. I'm glad this has helped you to some extent. Yes Bill, it's just a fact of life that we have to accept as pet and animal owners. It never gets any easier, Thanks for your kind comment. I really am sorry for your loss, John. 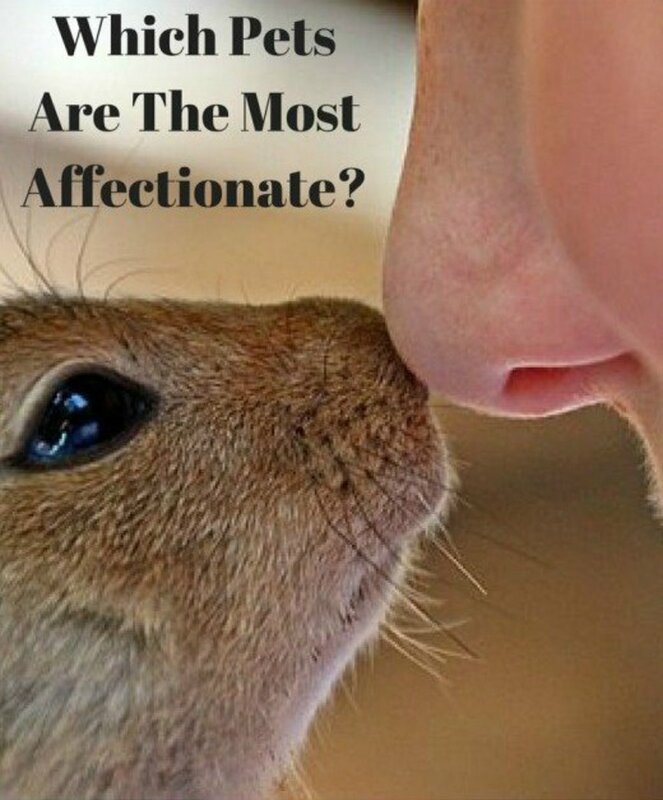 It's something that we animal lovers have to reconcile, isn't it? 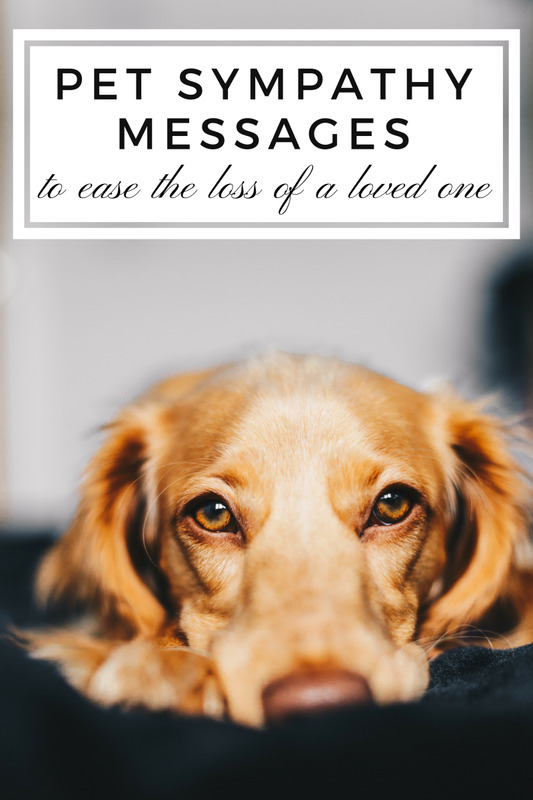 The more we love them, the more of them we have, and the more often we have to deal with loss. Sigh! Beautiful reflections my friend. Thanks Eric. Glad you liked the poem, it helps me deal with grief to write about it. Don, that must have been so hard needing to have your dog put down while on vacation. People who have never had pets cannot comprehend the attachment you have to them. We have always had animals. Thanks for reading and commenting. Hi Shauna. The longer a pet is with your family the harder it is to say goodbye, It must have been shattering to lose your Himalayan Ashley after 17 years. We were given a cat that was found dumped at the tip about five years ago. She must have had an existing medical condition and died but not unti after having a litter of kittens of which we kept one. That cat in turn had a litter and we still have her and three of her kittens. Within the next two years of that cat Cleo dying we lost two dogs Rolly and Pearl. It is never easy. Yes the doggy poem request was certainly ironic to say the least. Bonding with a pet is something necessary for some of us, but hard for others to comprehend. We've had dogs most of our married life. My daughter has two dogs and writes about them on her facebook page. The dog we had prior to the present, had to be put down when we were on a vacation trip. The dog was old and just could not make it any further. I had hoped to at least get her home and deal with it but it wasn't possible. Aesta!, thanks for that insightful comment about the coincidence. You may be right.I hope so. We do have to face death more and more the older we get don't we? Thanks for reading this hub Chitrangada and for your compassion and vote up. It is like losing a member of the family. Thanks Devika, yes it sure is hard even though you have to accept that death happens to everyone and everything eventually. Pets become part of your family an it is upsetting to have to say goodbye. John, I know how heartbroken you are. Many years ago I lost a Himalayan I'd had for 17 years. She was my best friend. My neighbor made a wooden coffin for her and we buried her in a garden in my back yard. I was always telling her to stay out of my gardens. Now she has her own with a kitty marker over her grave site. I call it my Ashley Garden. It broke my heart when she died (of old age). For a year I'd go sit by her grave and bawl my eyes out. I still think of her and miss her tremendously. One of the three cats I have now looks very much like Ashley. Sometimes I slip and call Shiloh Ashley. I don't think we ever get over the death of our beloved pets. How ironic that you had a request for a doggy poem on this very day. Wow. I feel for you my friend. Grieve and grieve hard. It's only natural. Kristen, thank you for your kind words. 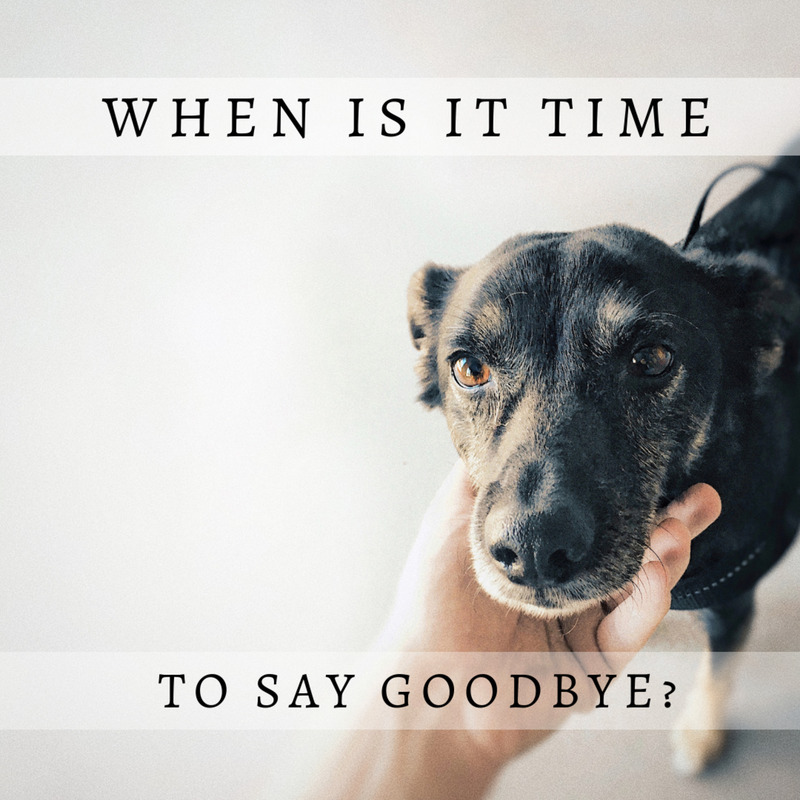 Many of us have gone through the heartache of losing pets. Fortunately their memories never die as you demonstrate remembering your dog Buddy and cat sweet Pea. Our three remaining dogs are all about nine years old so hopefully they still have a few years, as I hope your two cats do. I am glad you liked the poems too. 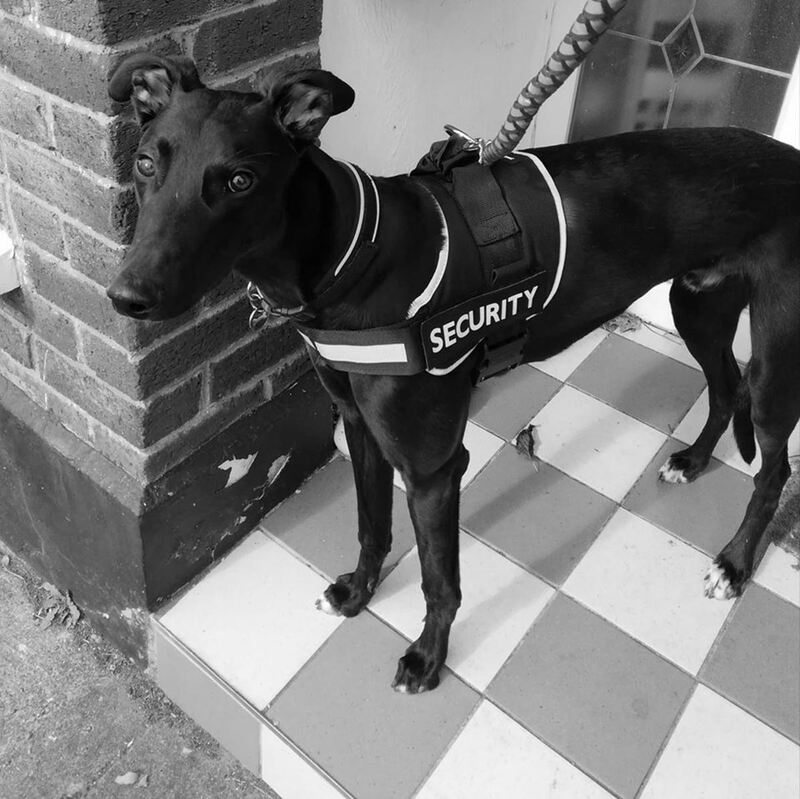 Mike (Mr Archer) I find losing a pet as one of the most unpleasant things we have to face in life. Because their lifespan is shorter than ours we often have to suffer it more than once. Just because I have had a number of pets pass away over the years it never gets any easier. Sorry for the loss of your Shi Tzu Holly recently. It is a terrible but necessary decision to have to make. I look forward to reading her story when you are ready to publish it. I am sorry about the loss of your dog. Now, that we are older, death is real. I like the coincidence. Your dog wants you to take care of other dogs through your writing. Isn't that beautiful? 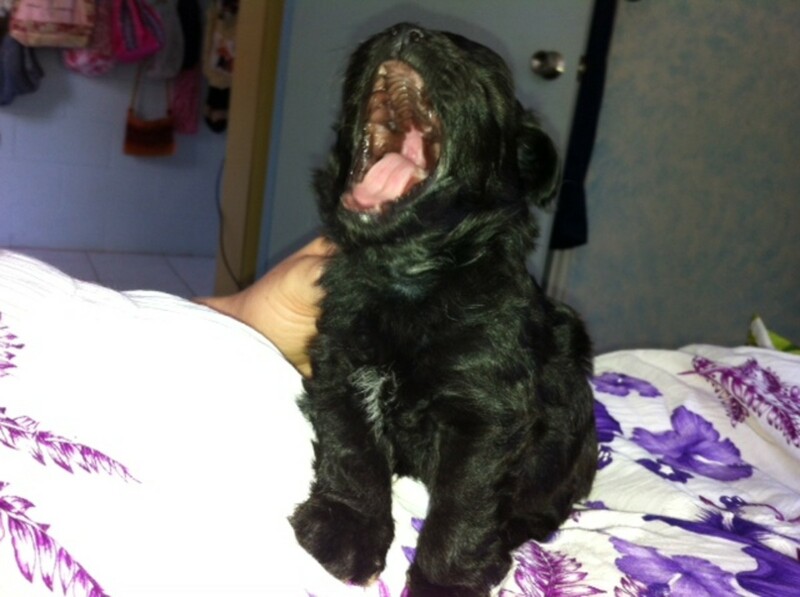 It must be very difficult for you because pets become like family members. We become so much attached to them. We take care of them like our own and when they part, it is indeed not easy to cope with the loss. Thanks for sharing this beautiful and touching hub. Voted up! So sorry to hear of your loss. I know what that felt like when I lost my first first best friend. I cried for days. 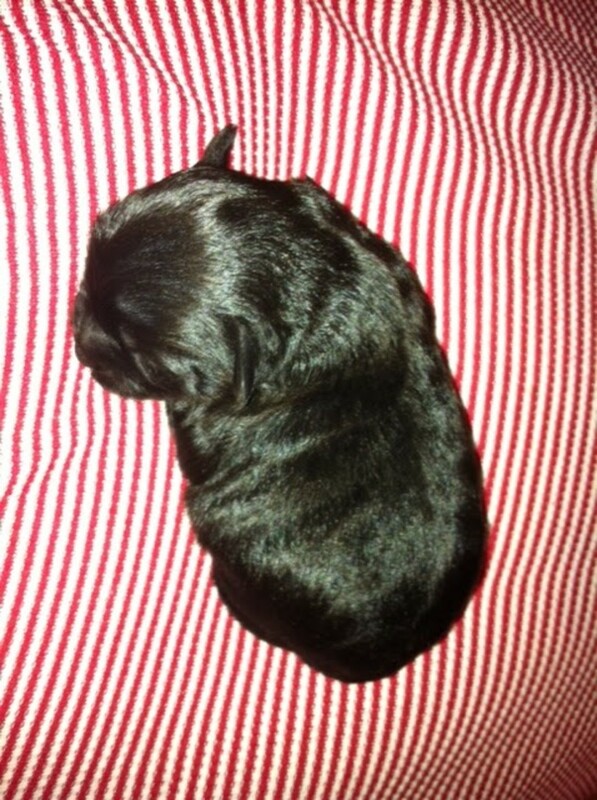 I did not want to have another puppy. Until over a decade ago later since that incident. It is very upsetting to lose a pet. John, I'm so sorry for your loss. I've been there before. 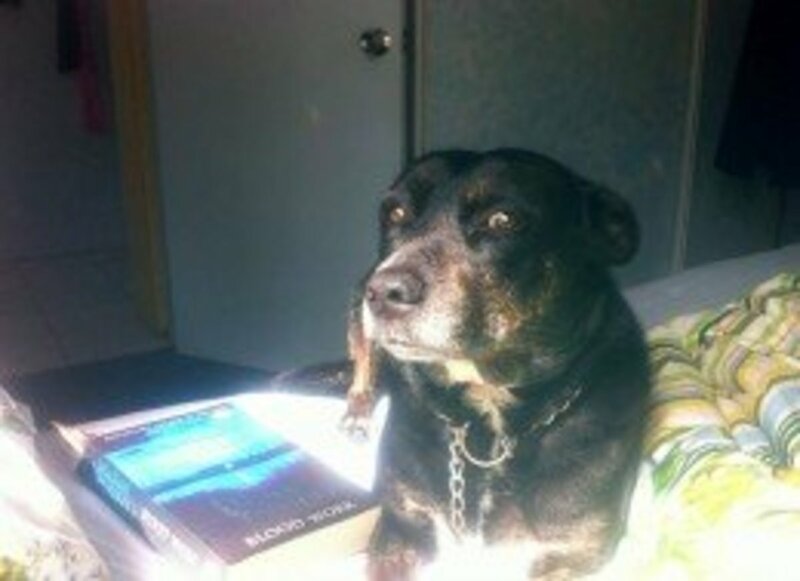 When I was 13, my dog Buddy was put to asleep, since he was 13 years old. (See my tribute to my dog buddy in my hub, My Buddy and Me.) A decade ago, I had to say goodbye to my cat, Sweet Pea. In between them, I had to say goodbye to some albino mice, which were my mother's classroom pets. They lasted a year, two decades ago. I'm fortunate to have two senior adult male cats with me, who was both 15. I know than in a few years, it would be time for me to say goodbye to one or both of them.) Beautiful poems, too. Wonderful job here John. We had to let our sweet Shi Tzu Holly go last Halloween. She was tired and in pain at age 19 years. It was the most difficult decision we have had to face, but it was the right one. I have written on it for the site but until my wife and I are ready, it won't appear. Frank, it's an unfortunate part of having pets. It's the unconditional love and faithfulness of dogs that makes it so difficult to deal with losing them. They don't complain and just accept everything you throw at them. I hope your toy maltese Beau lives for many more years. Small dogs do as a rule live longer than big ones at least.Thank you for your condolences and kind comment. Thank you Ann, death of a pet is never an easy time and even though I was expecting this it was still an unpleasant reality to wake up to. You are right the the memories help to counter the sadness. Sorry that my poem made you cry. It wouldn't surprise me that a surge of emotion could have the impetus to act as a catalyst to seeming coincidental occurrences. I feel for you in your loss, John. I've been through the death of 3 of my dogs, all soul-wrenching stuff and I still cry at the thought of them today. You obviously love all animals and have given many a happy and healthy home. All your dogs sound amazing. Beautiful poetry which made me cry. 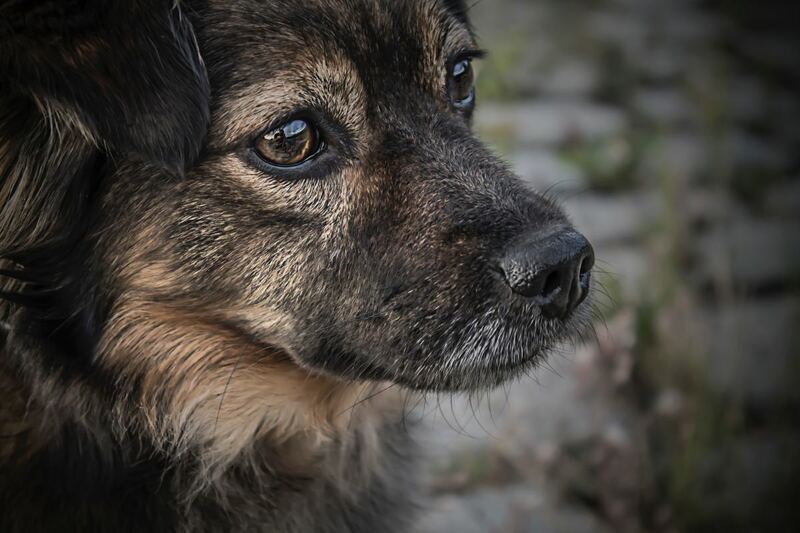 I'm sure your memories of Amber will sustain you as she was obviously a lovely characterful dog. It is strange how those sorts of coincidence turn up at opportune times. Something is at work in the background! I often wonder if surges of emotion have an impact.